Vyas and Malhotra ... to play key role in business expansion. 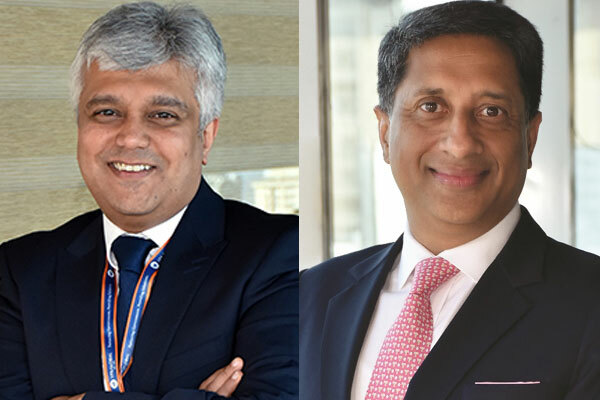 VFS Global, a major outsourcing and technology services specialist for governments and diplomatic missions worldwide, has appointed Jiten Vyas and Vinay Malhotra - both regional group chief operating officers - to its executive board. The move is aimed at strengthening VFS Global’s executive board in line with the company’s ongoing successful business expansion, said a statement from the company. Vyas, a UK citizen who joined the company in 2003 is responsible for all business operations in Africa (including Turkey), CIS and Eastern Europe, Europe and Americas, and Australasia. Malhotra, an Indian citizen, who joined the company in 2013 is responsible for all business operations in Middle East, South Asia and China. Both of them have handled various leadership responsibilities across geographies for the company, and are also responsible for the strengthening of key client government relationships, said the statement. The executive board in collaboration with the board of directors plays a pivotal role in VFS Global’s strategic decision-making across various business verticals and functions of the company. The addition of Vyas and Malhotra, with their respective vast individual career experiences, will further strengthen the EB to bring in the wider operational business perspective, in light of the company’s growth strategy, it stated. The other board menbers are Zubin Karkaria (CEO); Olivier de Canson (chief financial officer); Bernard Martyris, (chief HR); Dhiren Savla, (chief information officer) and Chris Dix, the head of business development. Karkaria said: "We are very proud to have dynamic and experienced leaders of the calibre of Vyas and Malhotra who have been instrumental to our global success in growing rapidly and serving now 62 client governments." "As we further expand our scope of business, we look forward to having their considerable and combined expertise add value to matters of strategy and corporate development," he stated. Over the years VFS Global has developed a very strong leadership team with highly experienced domain experts and specialists, not just in business roles, but also for key functions like Compliance, Quality, Data Protection & Privacy, Information Security, Finance, HR and IT, he added.